Tinker Dave Beaty: Robin Hood figure or leader of 'gang of robbers'? 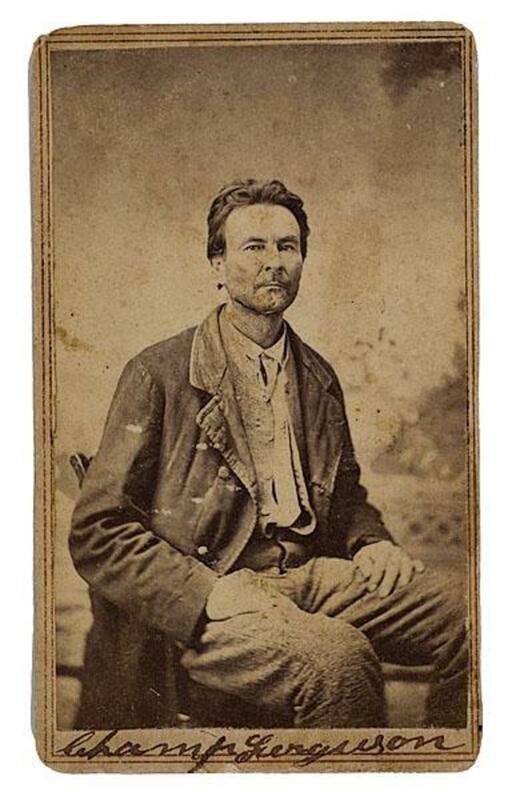 John Singleton Mosby ( December 6 1833 — May 30 1916), also known as the "Gray Ghost," was a Confederate partisan Ranger (guerrilla fighter) in the American Civil War. Confederate William T. Anderson's gang of men included outlaw Jesse James. 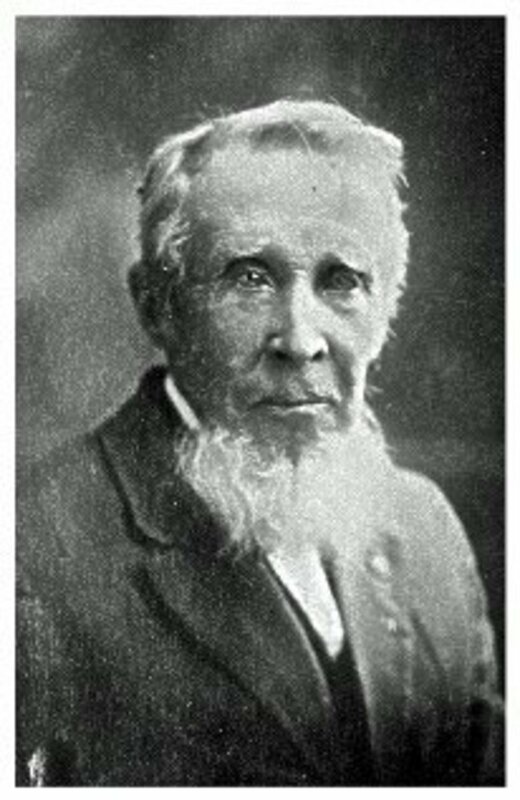 James Lane was a member of the pro-Union Jayhawkers group that operated in Kansas. -- excerpt from Homegrown Yankees written by historian James A. Baggett. It has been said that history is written by the victors, and if that is true then the story of Tinker Dave Beaty has been sanitized to make his actions more palatable. My maternal grandfather is a Beaty -- of Scottish-Irish descent -- and a descendent of one of three Beaty brothers who moved into the Cumberland Plateau near the end of the 18th century. While researching my family tree, I stumbled onto the killings, murders and plundering that occurred during the Civil War by partisan groups of both sides throughout the region my family lived in -- Clinton County, Kentucky and Fentress County, Tennessee. Two of the most notorious from the region were Tinker Dave Beaty and Champ Ferguson. Ferguson, a Rebel, was one of only two Confederates tried and executed for war crimes. Beaty was his chief nemesis and testified against Ferguson at his trial. 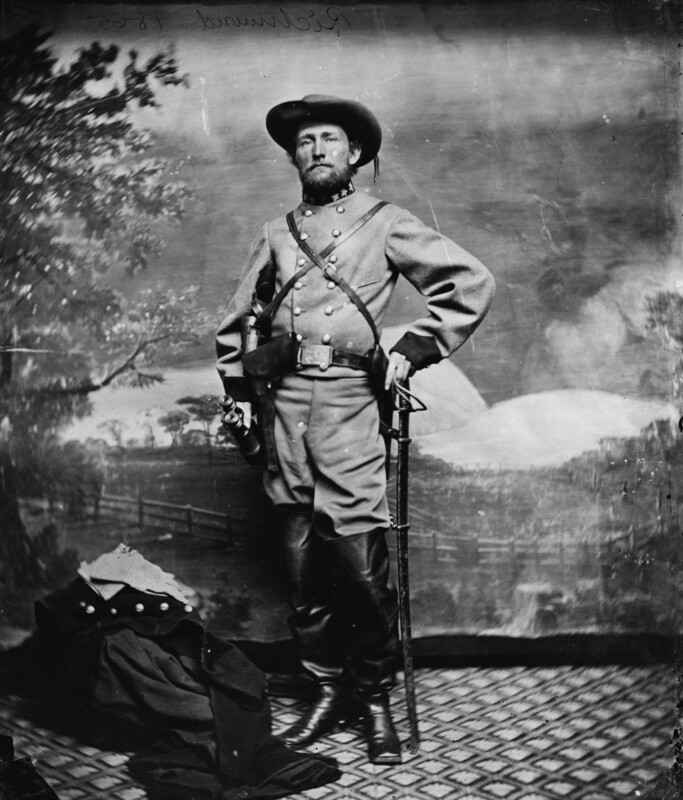 In his testimony, Beaty explained why he gathered up a group of men -- known as the Independent Scouts -- and engaged in battle, skirmishes and bushwhacking against the Confederates. "They [Confederate guerillas] run in there…killing people and running them off and I just told the boys that before I would go away, I would turn in and fight them, and if they killed me, let them kill me," Beaty said. 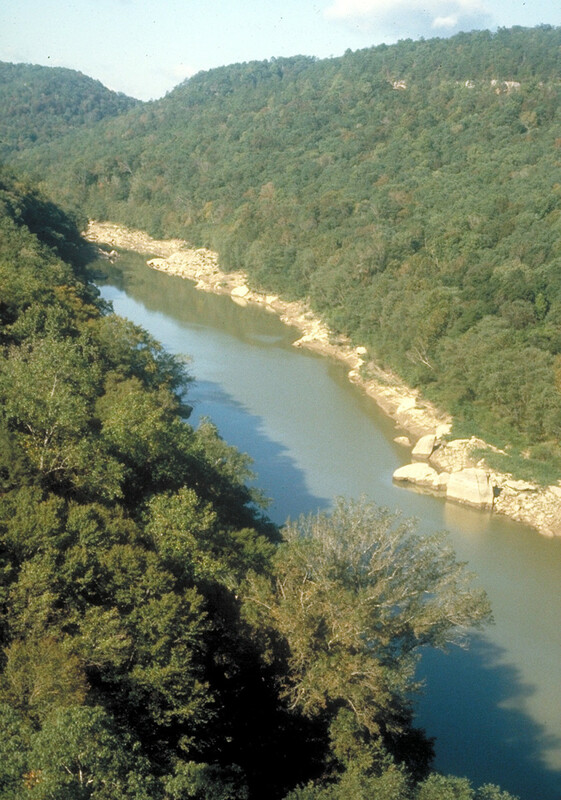 The mountainous, nearly impassible roads and paths of the Cumberland Plateau made it the ideal spot for guerrilla warfare, but the war in the mountains seemed to quickly move from political ideology to personal vendettas. Conventional warfare and the rules of war were suspended during 1861-1865 so much that in a June 1864 correspondence Major General William T. Sherman says the “guerrillas are not soldiers but wild beasts.” In what appears to be a double standard, he was presumably talking about the Confederate guerillas, because just one year earlier Beaty and his gang had been commissioned by the Union to disrupt and spy on Confederate forces using guerrilla warfare tactics to harass the enemy. Beaty formed his unit which consisted of as many as 60 men -- and as few as five -- in January 1862. Just three months after Beaty formed the Independent Scouts, a compromise was reach between the Union and Confederate guerillas and Home Guard units. The cease fire was short lived, though, and within a few months the violence had commenced again -- many blamed the failed compromise on infractions by Confederate Captain James McHenry. During this time, Beaty proved he could outwit his opponent if needed. A group of Confederate guerrillas -- including Ferguson -- rode onto Beaty's property. Many of the Rebel irregulars were dressed in Union garb and according to some accounts even carrying a Union flag. Beaty, who testified about the incident in court, said he was in a field at the time of the visit -- about 150 yards from the house -- yelled over to the men asking what they wanted. "We want Captain Beaty to help us drive off the damned rebels, who are now coming in on us," one of the men replied. "I told him he was down at George Wolsey's at a log rolling, but that I would go for him, which I did and forgot to come back," Beaty said. Each deed of cruelty was met with an act of revenge, until men were killed in retaliation, the only charge brought against them being, "a Northern sympathizer," or "a Southern sympathizer." There is not a road in the county not marked with the blood of some soldier or non-combatant. One element of Civil War action that has often been overlooked is the role women played in defending their homeland. It was not uncommon -- especially in borderland regions with limited official military oversight -- for gangs to take advantage of the fact that husbands and sons were away fighting in the War. In this -- the first of 3 videos -- Virginia Laas, professor emeritus, Missouri Southern State University, discusses the role of women as defenders. With Beaty landing on the winning side, most of the stories of his crimes and exploits remain largely undocumented, only surfacing in oral histories and family stories. Conversely, many of Ferguson's are well known and documented due to his murder trial. Even though the stories about Beaty and his men are less documented, it does not make them less real. The story of Pat Evans, a Campbellite minister, is told in oral history tradition in a high school publication from the 1950s called Echoes of the Foothills. As part of a history class assignment, students interviewed children of Civil War survivors from the Cumberland Plateau -- and many of the stories are told with a Southern slant. Even so, the story of Evans' death does capture some of the vulgarity and violence Beaty and his men were accused of committing. Pat Evans was not involved in the War -- his only crime was he had two sons who were Confederate soldiers. According to the story, Beaty and his men came to Evans' home and told his wife that if she would watch out the window she could see her husband killed. As she watched, her husband was taken a short distance away from the house and shot -- she later said she could see the fire from the gun as he was shot. Other versions of the story also say that Beaty and his men asked Evans to take them to valuables Evans had hidden in a swamp area on his land. When he refused to disclose the location, they shot him and left his body in the swamp. Another story from Echoes of the Foothills is about a Southern sympathizer Captain Hudson. Hudson headed into Fentress County to move a family down into Overton County so they would be safe from Union guerillas like Beaty. 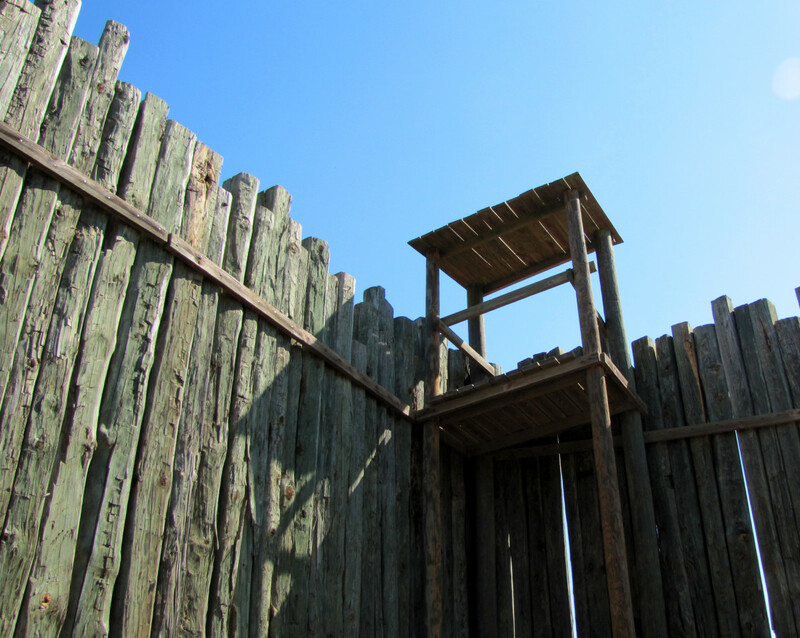 As Hudson started to cross the county line, he was ambushed by Beaty and his men. A man with Hudson was killed in the attacked and Hudson was shot in the leg. A wounded Hudson crawled off into the woods to hide, but Union guerrilla James Beaty -- Tinker Dave's son -- tracked him down and killed him. The acts of violence attributed to Beaty and his men are numerous, but this last incident show their ferocity. According to a story included in Don't Go Up Kettle Creek, by William Mynwood Montell, The Wolf Gang, a separate contingent of Beaty's guerillas killed Jim Raines by backing him up against a barn wall, cutting his throat 'from ear to ear' and then slashing and mutilating his body. When they left the scene of that crime they headed to the house of Robert Richardson, a blind 92-year-old man who's only crime was having three sons in the Confederate army. Richardson was shot in his front yard along with his dog. The men draped the dog over Richardson's body before riding away. My direct family line paid a high price during the Civil War. Two sons of my great-great-great-grandfather Alexander Beaty died as prisoners of war in the notorious Belle Island prison. Beaty definitely knew the pain of war -- he buried one son and nearly lost another to the violence. According to testimony presented by Isham Richards at Ferguson's trial in Nashville, Tinker Dave's son, Dallas, was killed by Ferguson. In early 1864, Dallas Beaty and a couple other Beatys went to Rufus Dowdy's camp to volunteer for Union service. 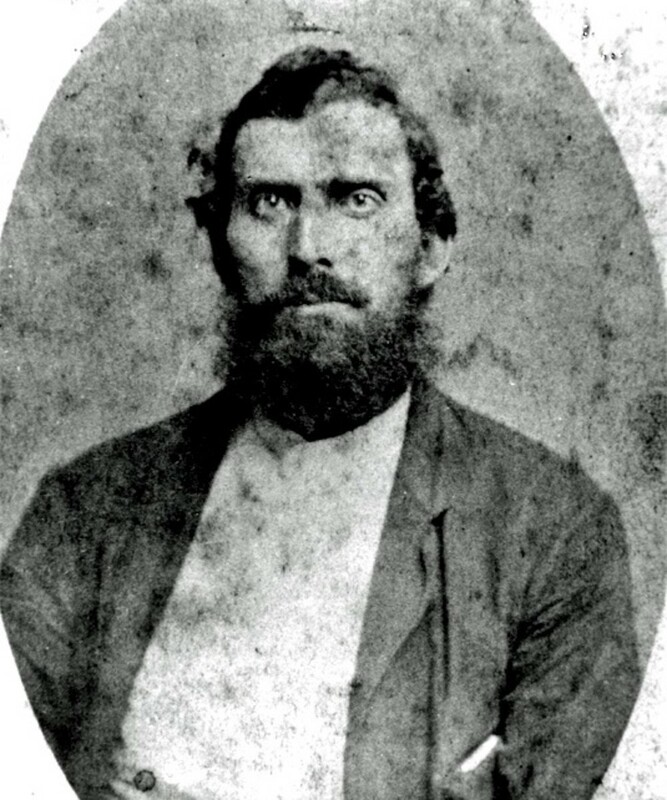 In an ensuing skirmish, Dallas was captured and taken to the nearby home of Richards where he was held along with fellow POW Jackson Garner, Richards said. Richards further testified that a party of about 80 men under Captain (George) Carter came to his house on the morning of February 13, 1864 and Champ Ferguson was with them. "Garner was in the house, the rebels disarmed him, and Ferguson ordered him out. As Garner came out on the porch, Ferguson shot him. ...A little while later Ferguson killed Dallas Beaty in the wood lot; he stuck the gun in Beaty’s face and asked him how he would like to eat powder,” Richards testified. It was the courageous act of two women that saved the life of Beaty's teenage son Thomas Jones Beaty. Beaty and his men engaged Confederate Colonel John H. Hughes and Ferguson as the men came into Fentress County on a foraging expedition. 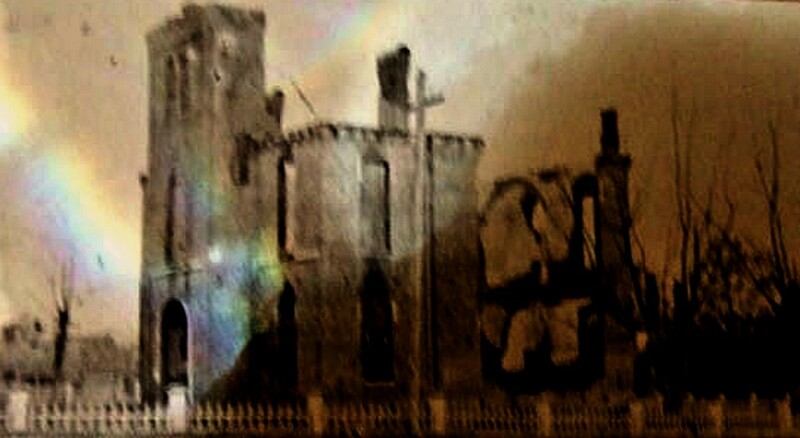 The battle took placed near the home of Beaty's brother-in-law Union Captain John Boles. Beaty and his men being greatly outnumbered were forced to retreat -- causing them to behind some of their men, including Tinker Dave's 14-year-old son Thomas Jones Beaty. In the take no prisoner atmosphere of the region, Thomas Beaty was placed in between his two captured comrades to be executed., However, two Boles women on the scene begged for his life and it was spared. The other two men were killed. It was also reported that Thomas' brother Claiborne was on the scene hiding up in a tree. "He Wasn't A Bad Man; He Just Fought Through The War"
When the hostilities came to an end, conflicting stories emerge about Tinker Dave. Some reports say he went back to farming and lived a peaceful life. Other sources say he and Ferguson's gang continued disrupting the region for several years. Despite what he did or did not do, he did have some political power. During the War, Beaty had protected a Fentress County judge -- and after the War Beaty became known as a man of influence. 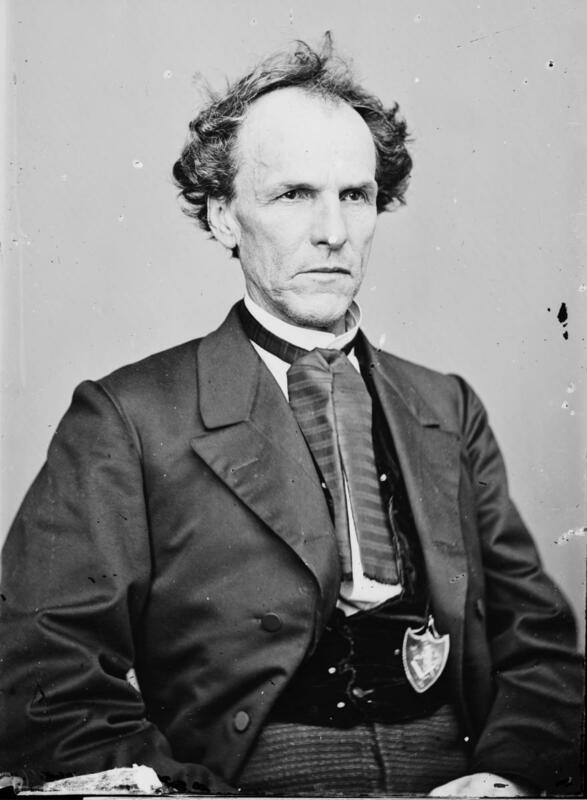 In fact, the Governor of Tennessee called on Beaty's son Claiborne, to help halt the activities of the KKK in the region. Some say, Beaty did not seek out the War -- it sought him out. 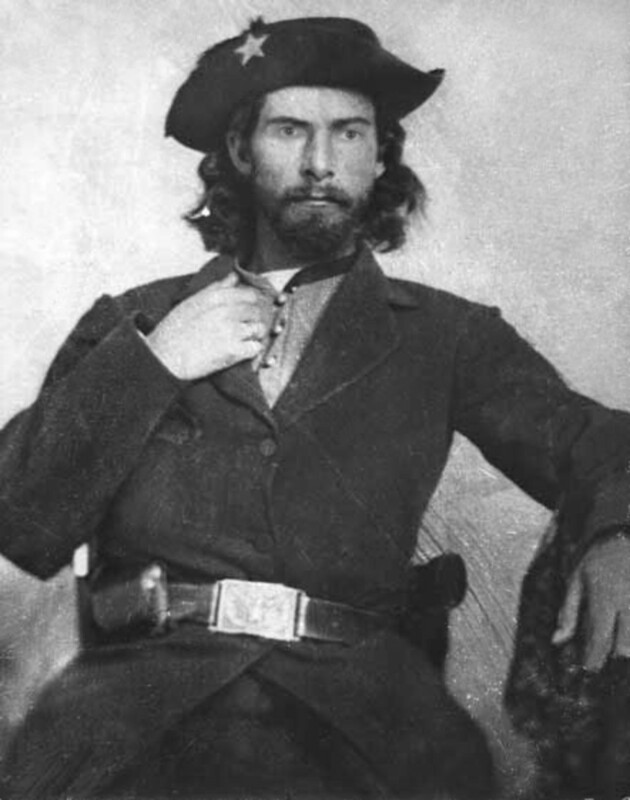 When Beaty was buried in 1883, Quinn Davidson eugolized him by saying, "He wasn't a bad man; he just fought through the War." 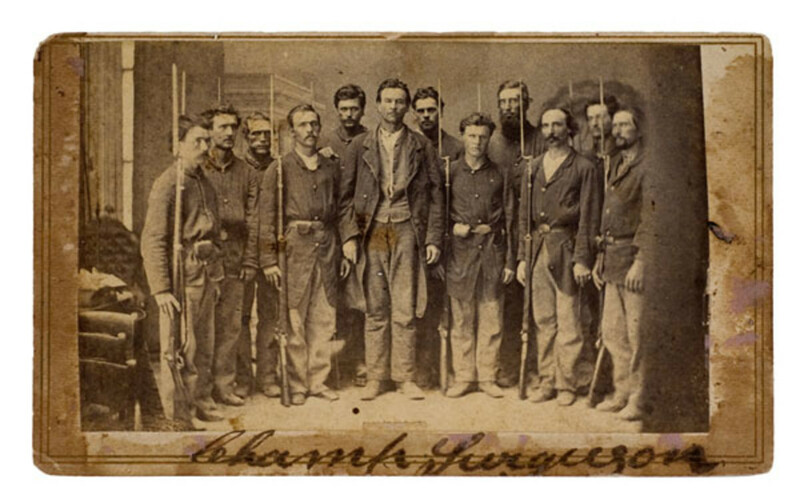 Champ Ferguson: Notorious killer or slain Confederate war hero? This comment is to Philip Evans Smith. Burl Evans is my gr.gr.gr.grandfather. Is there a way that I can contact you in private. I am trying to learn all that I can from my mother's side of the family. Thank you for mentioning the murder of Burl “Paddy” Evans. 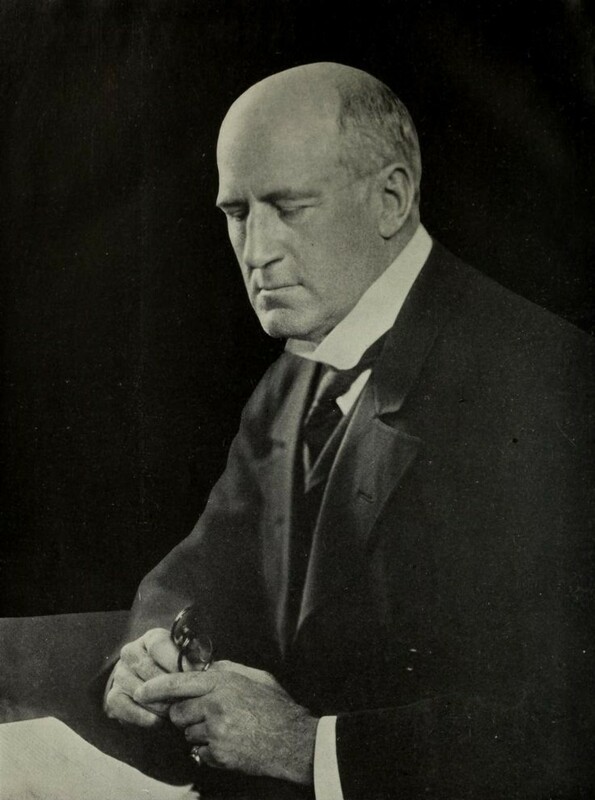 The murder was allegedly committed by Beaty himself. “Paddy” Evans was my great-great grandfather. He was simply a preacher who had sons fighting for the Confederacy. Although you mention that the murder was committed in front of my great-great grandmother, my great-grandfather, Andy Evans, and my great-great uncle, Sells Evans were present on the porch of their home to witness this brutal and unjust act. They were both very young at the time. I cannot view a cold blooded murderer of an unarmed man of God in the presence of his family as a hero.